Find everything that's good about your favorite dish in our BBQ Chicken Dip! 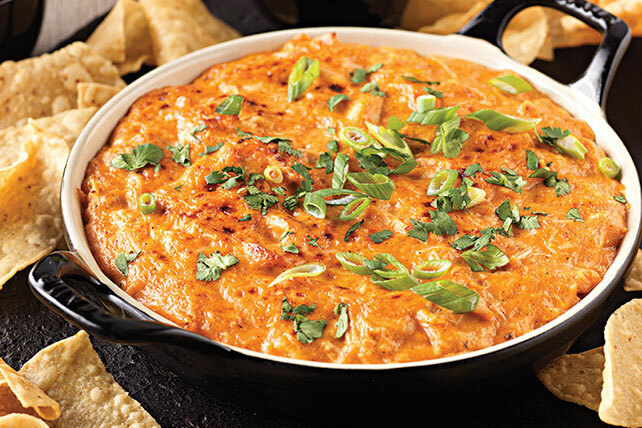 Make a creamy, cheesy, hot 'n' bubbly BBQ Chicken Dip for your party. Mix cream cheese and barbecue sauce in medium bowl until blended. Add chicken and shredded cheese; mix well. Spread onto bottom of shallow ovenproof dish. Bake 20 to 25 min. or until hot and bubbly. Sprinkle with onions and cilantro. Serve with tortilla chips and celery sticks.